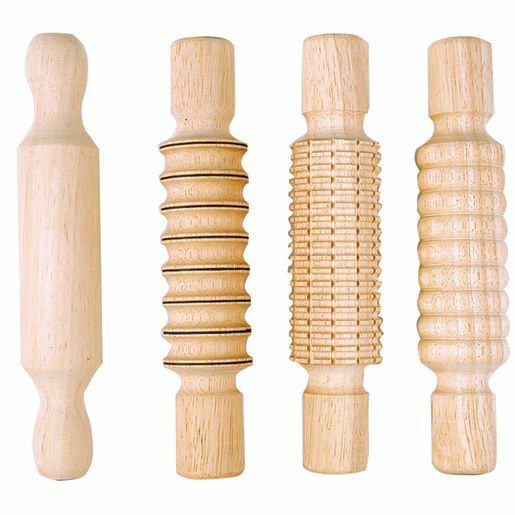 4 hardwood rolling pins, the perfect size for small hands. 8 1/2" long, with different textures to create patterns in clay. Patterns may vary slightly from photo.